I've been on the lookout for small gifts and figured some of you may be in need of houseguest gift ideas this time of year. Here are a few. Above, European Enamel Pitcher, $35 from Zinnia Cottage on Etsy. Below, Window-Mounted Birdfeeder, $19.50 from A+R. Next, Adjust-A-Bowl Cork Bowl, $35 from MoMA. Blue Watering Can from Kioskk, $24. 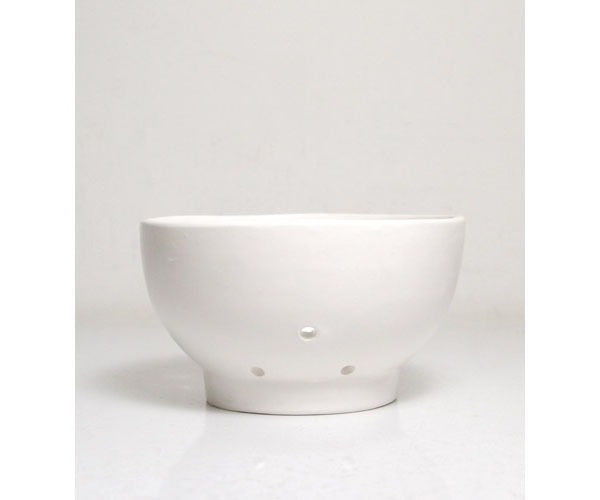 Lastly, the Tourne Berry Bowl from Brookfarm General Store, $35.